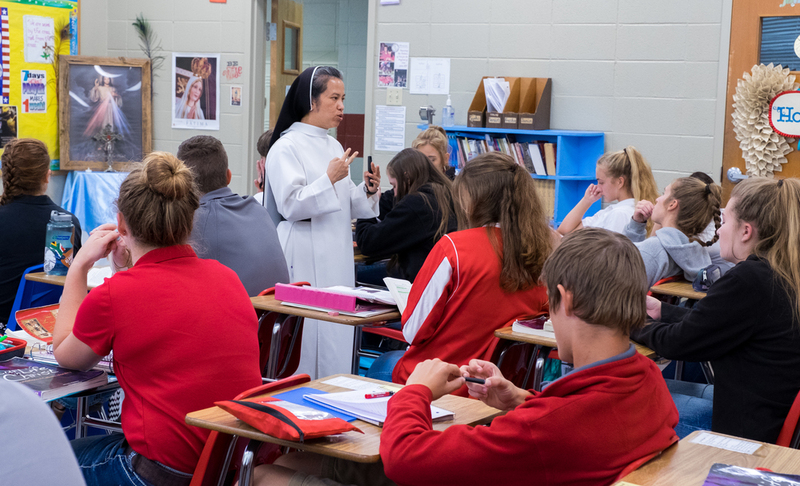 The primary apostolate of our Sisters in the U.S. is teaching at the university, high school, elemen­tary, and early childhood levels. Additionally, our Sisters are active in parish ministries as DREs and catechists at various English-speaking and Vietnamese-speaking parishes. We currently have 39 Sisters teaching at 18 different schools in several Dioceses. Several of our Sisters also serve as nurses in the health care profession at various locations. Our Sisters work with patients in their private resi­dence as well as in nursing homes. Our Sisters assist the poor and the needy in vari­ous ways, which include but are not limited to, offering financial support for many non-profit groups within and outside the U.S. In this man­ner, we are able to extend our apostolate of char­ity by providing other religious congregations and parishes in Vietnam with practical means to better serve the people of God.